Who doesn’t love hiking? The act of trekking into the great outdoors, seeing all sorts of flora, fauna, ecosystems, and reaping the bounties nature has to offer has been the pastime of many an adventurer since the dawn of time. However, in the past, most of us had to rely on our wits and our knowledge of how to use the various tools at our disposal in order to have a good time and not have to worry about getting lost or stranded in the wilderness. Maps, compasses, watching the stars, and keeping an eye out for landmarks are just some of the techniques we had to employ just to get our bearings when traversing the wild. Nowadays, we have all sorts of devices and gadgets that trivialize these tasks so that you can focus more on taking in nature and less on letting nature take you out. Whether you’re are an avid hiker or an adventurous person who enjoys frequent escapades to nature’s domain, it’s important that you keep yourself apprised of the technologies at your disposal which can allow you to take your hobby to the next level and lend valuable guidance on your next hiking foray. One such type of gadget is the hiking watch, a device which encompasses several vital navigational tools and combines them into a slick wristwatch, providing you with valuable information wherever you may be. Like with all watches, the primary function of a hiking timepiece is to allow you to tell time. However, the other tools it comes with will grant you a wide range of information which can help you stay oriented in any place, at any time. With other wristwatches, picking up a model suited to your needs is more about personal taste and preferences, as the only aspect that will vary between models is the design. However, hiking watches include a wide variety of tools created to help you keep on top of things while venturing forth to the great outdoors. For this reason, picking the right hiking watch can become a challenge, especially if you’re a newcomer to this world and still don’t exactly know what to look for. On the following sections of this article, we will be discussing important factors to keep in mind when browsing the market for the best GPS watch for hiking, while also providing a list of our personal top picks to help you make the very best purchase. With the information we’ve provided in this article so far, you can now browse the market for yourself with a good chance of purchasing a high-end GPS watch which will serve you faithfully for years to come. However, when it comes to hiking watches, it’s easy to simply throw your money at the most expensive product and call it a day. Starting off with a simple yet powerful watch from Casio, the PAG240 makes up what it lacks in sheer bulk with professional-grade performance. This solar-powered beast can last up to 6 months on a full charge, with the solar charger installed directly on the face of the watch with the purpose of extending its internal battery’s life for as long as possible. The aesthetics of the timepiece itself is, by far, its most humble aspect, with a simple round design and all the important information either on the dial or on screen. This watch features all the amenities you’d expect from a product in this category, including a barometer, altimeter, and compass. Unfortunately, it doesn’t have GPS. But it’s accessible price tag makes it an ideal choice for budget-conscious hikers. Besides, with the compass and a good map on hand, you will be able to easily triangulate your position and keep oriented at all times. The Fenix 3 is, overall, one of the best devices in this category on the market, featuring all the characteristics we’ve grown to expect from these products, packed into an aesthetically-pleasing frame. Furthermore, it also has several features in place which make it ideal not only for hiking and exploring, but also for exercising and running. The only drawback is its price, which is totally worth it for the sheer functionality and aesthetics but may dissuade entry level or casual hikers from purchasing it. With a price tag of just under $450 (it hurts, we know), this timepiece offers everything you would ever need on your hiking or exercising escapades, and then some. Starting off with the very basics such as barometer, altimeter, and compass, this watch also has built-in GPS functionality to keep you oriented in any place, at any time. The GPS lets you keep track of up to 1000 locations, which makes getting your way back to your favorite campsites or exercising spots a trivial matter. With the Fenix 3, no longer will you have to fumble with your map hoping to get your bearings, since all you’ll have to do is take a look at your trusty watch to orient yourself. Furthermore, the altimeter, barometer, and compass are all calibrated by GPS, which means that you get more accurate measurements than with other watches, and you won’t have to calibrate them manually, which is always a good thing. The display consists of full color LED which makes it very easy to read even under direct sunlight. The screen is also backlit for readability in low light environments, and is large enough to easily accommodate all the information you’ll ever need during your travels with minimal menu navigation required. The biggest caveat with this watch, as well as with other GPS watches, is battery life. Compared to the PAG240 above, which can go up to 6 months without charge (not including the extended time from the watch’s solar panels), the Fenix 3 can last 20 hours in GPS mode, and up to 2 weeks in watch mode. Battery life will always fluctuate depending on certain conditions, such as the amount of use the watch gets, but it’s a given that you’ll need a power source if you plan on hiking for extended periods of time in order to recharge your watch. Easily, the best part of the Fenix is its compatibility with a wide range of Garmin apps designed to make your trips as enjoyable as possible. The timepiece can connect via WiFi to the Internet and, via these apps, you can share everything you desire to any compatible devices, such as your smartphone. With this functionality, planning a route and sharing your travel data is as easy as it can be. The PRW-6000Y is like a big brother to the PAG240 mentioned above. With a bigger dial and a sturdier frame, this watch offers the basic tools of every hiking watch, such as altimeter, barometer, and compass on a separate, while featuring a small screen for other hike-essential data. The aforementioned screen makes this a hybrid watch which is able to show more information on the screen than other analog watches such as the PAG240. For the steep price tag on this watch, we’d advise you to go the extra mile and get another watch like the Fenix 3 above. However, if you’re on a tight budget, then this watch is essentially as good as it gets for this price range. The fact that this GPS watch features lots of elements from other higher-end models at a significantly lower price has made it a popular choice for hikers, both entry-level and veteran alike. The Traverse’s slick design, intuitive display, and very accessible price tag make it the go-to product for users on a strict budget. 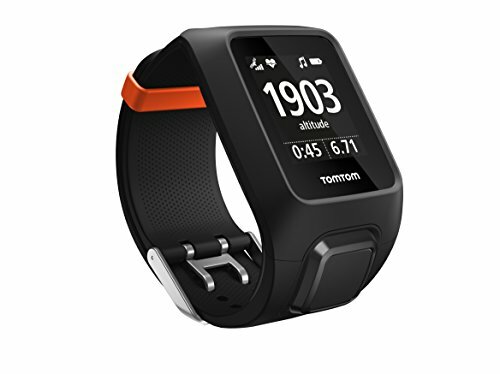 With a price tag around $320, this digital hiking watch is ideal not only for hikers and explorers, as it also includes features for runners and athletes, such as keeping track of distance traveled in both horizontal and vertical directions, the average speed of travel, and total time spent traveling, among others. The possibility to store a generous number of waypoints and destinations makes it also perfect for multi-day hikes where you plan to make several stops such as when sightseeing and camping in safe zones. automatically calibrated via the GPS, so you won’t have to bother manually keeping your instruments calibrated, and can rest easy, as your measurements will always be precise. The watch also features GPS and GLONASS navigation tools, which are the latest standard in portable navigation technology, as well as several useful tools such as storm alerts, activity monitoring, and timekeeping via GPS. The latter means that you won’t ever have to adjust your time as you travel the world because your watch will automatically do it for you. 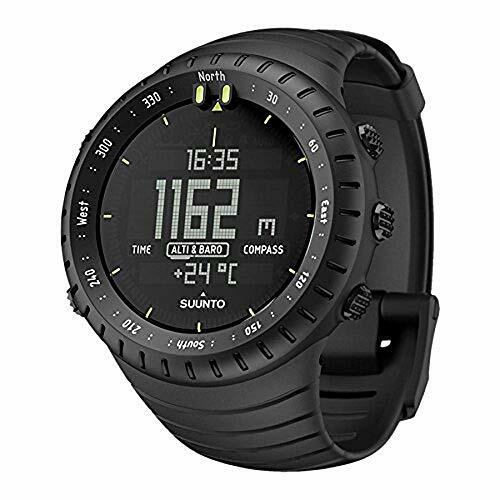 The Traverse is compatible with the Suunto Movescount apps, which can be installed on your smartphone, and is used via BlueTooth. This app allows the user to sync important data such as routes, including altitude variations, so you can plan your route ahead using a topographic map. Topping off this list is the very prestigious Tactix Bravo by Garmin, a fully featured hiking watch with a fully featured price tag as well. This watch is ideal for professional hikers and for individuals who make a living out of exploring the wilds and require the best instruments money can buy, as the $600 price tag will dissuade all but the most hardened veterans in the field. This watch includes all the basics such as altimeter, barometer, and compass, while also featuring support for the Military Grid Reference System. The battery is one of the watch’s strongest features considering that, on a full charge, it can last up to 50 hours. 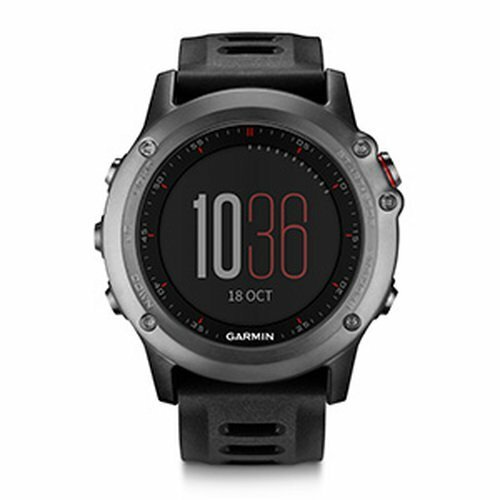 For a GPS watch, this is more than enough charge to get through any hiking expedition. However, for the longer trips, such as weekend stays in the wilderness, you might need to bring in a power bank or other power source to recharge your clock so it can keep providing reliable service. As far as navigation is concerned, the Tactix Bravo absolutely excels in this category, as it features comprehensive navigation capabilities, coupled with the TracBack feature, which makes it easy to retrace your steps and go back where you came from. Furthermore, as is the standard with other GPS watches, the altimeter, barometer, and compass are all automatically calibrated with the GPS, so you can spend more time exploring and less on getting your instruments to provide accurate info. The watch itself is also compatible with a wide variety of mobile devices and can be configured to provide notifications on pending atmospheric so you can tell when to take shelter, and when it’s okay to resume exploring. While the Tactix Bravo’s price will dissuade many entry level hikers and athletes, this timepiece is the absolute best product for those that need to best GPS hiking watch money can buy. The brands mentioned above will, more often than not, provide you with a great quality product that will satisfy all your needs. However, since we can’t rely on brand loyalty alone, we also need to know what elements to look for in a hiking watch, so that, even if you can’t find any products from the brands above in your area, you will still be able to browse and choose a great device for your needs. Fitness trackers have become the quintessential tools for people who love to go outside for a run and require a tool to efficiently track the results of their exercise routines. These devices can perform a wide variety of functions such as calculating the amount of calories burned, measure the number of footsteps taken, keep track of the user’s heart rate, measure distances traveled, and so on. The most advanced devices even have algorithms to calculate if the user is sleeping well, as well as provide warnings when they’re experiencing sleep disorders or otherwise suffering from sleep conditions that may adversely affect the user’s performance during their waking hours. That’s a lot of technology for a small gadget you wear on your wrist or arm, right? Hiking watches are somewhat more modest when it comes to tracking distances or measuring other health metrics. Most GPS watches can measure distances, some with even more accuracy than fitness trackers, due to their satellite connection and GPS capabilities. However, these functions often need to be activated manually, since they consume a hefty amount of battery life due to the satellite connections the device has to perform, as opposed to the fitness tracker’s accelerometer, which allows it to keep track of the user’s movements in a more energy-efficient manner but with a tradeoff in accuracy. In stark contrast to fitness trackers, GPS watches also bring to the table tons of other features which can help the user stay oriented anywhere, such as an altimeter, a compass, BlueTooth capabilities and, for smartwatch-based hiking watches, compatibility with a wide range of apps designed especially for these devices. Barometer: The barometer is an extremely important tool, especially if you plan on hiking for extended periods of time. This device is able to detect changes in the atmospheric pressure of the zone you’re hiking in, allowing you to reliably predict weather patterns and adapt accordingly. If the atmospheric pressure is rising, it means the weather will improve or, at the very least, is not going to worsen. If on the other hand, the atmospheric pressure is decreasing, it just means you may have some rain incoming or, in the case of sudden drops, a storm might be brewing. This tool allows you to predict the weather so you know whether to take shelter or continue trekking. ​Altimeter: This device allows you to pinpoint your altitude above the sea level at a whim. Altimeters come in both GPS and barometric variants, with the former being the most precise and requiring no calibration. This device is important, as it will help you to easier identify your location on a map based on your current height, which is useful when you’re navigating deep in a valley, or high on a mountain. Compass: The quintessential tool for pinpointing your current location. Compasses are used to gather your bearings by allowing you to tell the direction of the four cardinal directions. This tool, alongside a map, allows you to triangulate your current position and keep oriented at all times. Useful for when you don’t have a GPS device. Thermometer: This tool is useful for those weekend trips where determining temperature early in the mornings will come in handy to determine how much layering you’ll need to stave off the cold. GPS: One of the most important parts of any hiking watch is the GPS or, for its modern counterpart, GLONASS. This feature offers the very best solutions in tracking and navigation, allowing you to instantly pinpoint your location, as well as other useful navigational metrics such as ascent, descents, and current speed, among others. Most GPS devices will also allow you to import routes to your watch which will help you to keep track of your current progress. Furthermore, a GPS may also record your activities such as distance traveled, routes taken, the average speed of travel, and so on, and allows you to upload them to your phone or other paired devices via mobile applications, which makes trailblazing easier than ever. There’s an important caveat with GPS watches in the form of shorter battery life; the GPS absolutely drains your battery if you keep it activated during long periods of time, so important battery management is paramount when you’re navigating using your watch’s GPS. Like with tactical watches, hiking watches also boast increased durability, as well as other important features such as durable straps, shock resistant glass, and are made out of sturdy material to improve their lifespan. While these features make the device more durable, they also make it cost significantly more than regular watches. The best hiking watches usually offer a set of features which will aid you during your journeys. While that much is clear and is expected of any high-end devices in this category, there are a myriad of watches that can offer said features at very competitive prices. In this sense, how can you tell which are the ones that offer the best quality and that will stand the test of time, serving you faithfully for years to come? Well, as it turns out: it’s really hard to tell by looks alone. Fortunately, there are lots of brands out there which have created reputations for themselves by consistently offering high-quality products. By investing in a product from one of these companies, you’re not only purchasing brand quality, but you’re also investing in top-notch customer service and a product which will be very likely to satisfy your requirements. 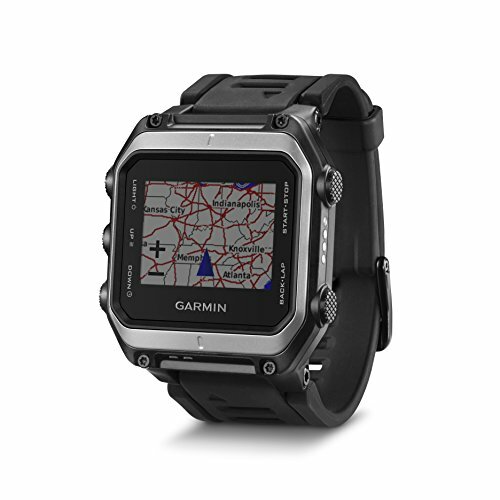 Garmin Ltd., more commonly known as simply Garmin, is a company that develops and manufactures GPS equipment for civilians, mainly for terrestrial transit, but also for naval and aerial applications. 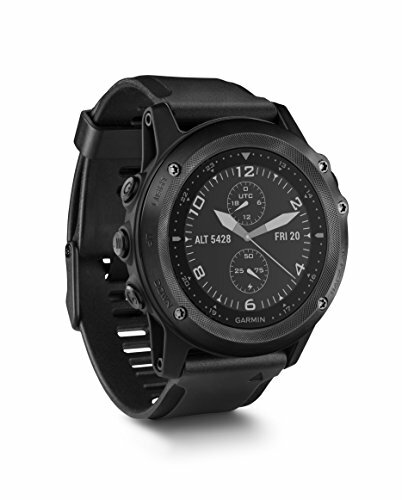 This company was founded in 1989 and has its headquarters in George Town, Caiman Islands, and offers high-tech navigational software and equipment including GPS devices, fish finders, hiking watches, and also develops proprietary software for said devices. Based in Vaanta, Finland, Suunto is a company focused on researching and manufacturing navigational solutions for any interested parties. 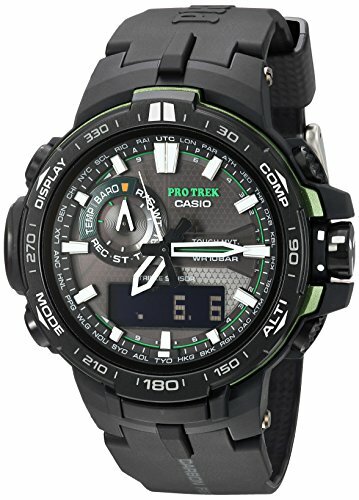 Their catalog of products involves dive computers, smart watches for various applications, compasses, and other types of high-end navigational equipment. Although they have a factory, most steps of their manufacturing process are still handmade, which only adds to the overall quality of their product and reduces the probability of factory defects, since all of their products are constantly tested while they’re being manufactured. Curiously enough, the word Suunto translates into “bearing” or “direction”, which is a smart reference to what this company is all about. As a developer and manufacturer of high-end utilitarian equipment and gadgets, Casio hardly requires any introduction. This Japanese company has its origins in 1946, at the height of World War 2, at which time they built their reputation by creating cutting-edge (for the time) scientific calculators, as well as their regular counterparts. Nowadays, the company has broadened its horizons, also manufacturing other gadgets such as navigational equipment, PDAs, digital cameras, electronic pianos, and digital watches, among others. Like with most other types of products, hiking watches come in a wide variety of shapes, sizes, colors, and prices. With the information contained in this buying guide, you are now capable of browsing the market at your leisure and purchasing a product suited to your needs. If you’re still not confident enough to make a decision for yourself, then feel free to choose from any of our recommended products listed above. We assure that you that these products are the ones which will offer the very best performance for their price.